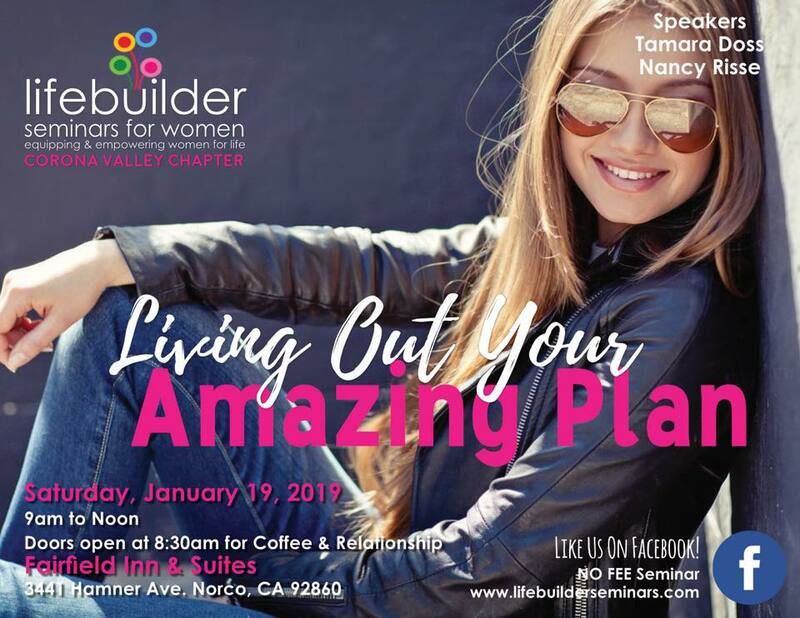 Tamara will be teaching 30 Key Principles through her 30 Day Challenge to Living Out God's Amazing Plans every Friday, DATES TBA at 12:15pm to 1:30pm after her radio show at Hope Recovery Center, Inc, 9036 Pulsar Ct, Suite H, Corona CA 92882. Class is open to everyone and is FREE. starting JANUARY 1st through JANUARY 30th, 2018.. Group is open to everyone, men and women, ages 16 to 116. Reach out via Facebook at Tamara Doss, God's Amazing Plans or Amazing Life Ministries and let me know you want to join.. This is a 7 step(week) Bible Study written by Tamara Doss, Founder of Amazing Life Ministries and God's Amazing Plans. 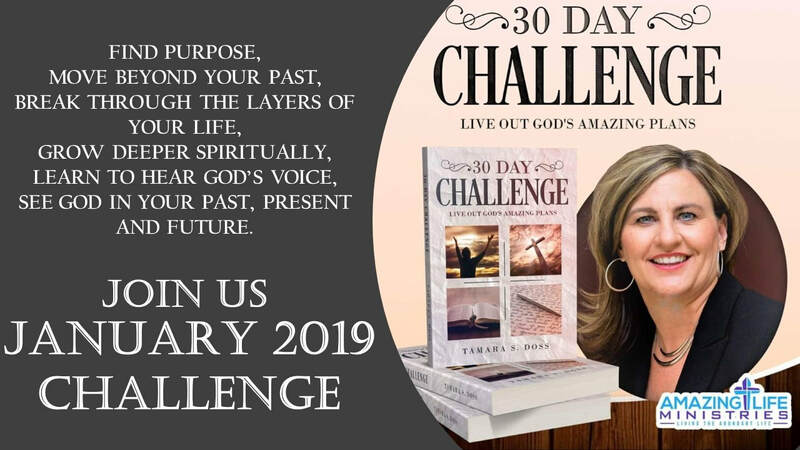 She will teach her 6 steps to living out God's Amazing Plans in your life along with her 30 Day Challenge via video, workbook and daily devotional time. We will dig deeper into recognizing and embracing that God created every human being with great purpose and through the study we will learn to step into that amazing plan. We will learn to walk on God's path and not our own. This group is designed for support, encouragement, inspiration and coaching. STORY CLUB: ENCOURAGING WOMEN TO WRITE THEIR STORIES FOR PURPOSE, FREEDOM AND THE NEXT GENERATION. this is a 7 week intimate study of women who are called to write their story. Video, reading and workbook style study following Tammy Hotsenpiller of Influence Church Anaheim.